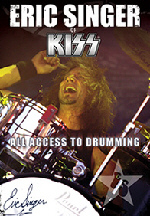 Music Star Productions will release KISS drummer ERIC SINGER's "All Access To Drumming" DVD on November 21.
heartfelt advice on the “business” side of the music business." A video interview with KISS guitarist/vocalist PAUL STANLEY and clips of Paul's rehearsals in Los Angeles for his current "Live to Win" solo tour can be found at iWon Entertainment's Website. Paul Stanley of KISS was on the phone with the "Bob Rivers Show" on KZOK 102.5 FM in Seattle on Friday (October 27) to promote his new solo album "Live to Win". Stanley talked about not wanting to recreate his first solo album or a KISS album, the all-star collaborations, the different ways to distribute music, how he was every parent's worst dream come true, all the band's merchandise, and more. Listen to the interview at this location. Paul Stanley was on Elliot in the Morning, a call-in morning show based out of DC that has an affiliate here in Richmond, VA. The MP3 interview is now online for free download at this location. Also in PAUL STANLEY news, during October 25th Rockline appearance, Paul mentioned that his current solo tour, including rehearsals, are being filmed for a future DVD release. Frontiers Records has announced two separate JORN Lande records entitled "Unlocking The Past" and "The Gathering" scheduled to be released on January 27th 2007. "Unlocking the Past" includes some previously unreleased cover songs that were originally considered to be "leftovers" or additional bonus tracks for previous JORN albums. Many of them were never included on any official release. 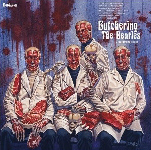 Some brand new covers were also recorded specifically for this CD. 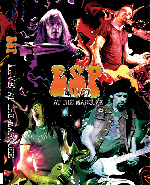 Combining their unique blend of talent and years of experience with some of rock's most well-known bands, the ERIC SINGER Project, better known as ESP, returns this fall with separate CD and DVD releases, giving fans around the world a chance to experience their incredible live show. The very busy band members, comprised of ERIC SINGER (KISS/Alice Cooper), BRUCE KULICK (Grand Funk Railroad/Union/KISS), John Corabi (Ratt/Union/Motley Crue), and Chuck Garric (Alice Cooper), found the time in early 2006 to travel to Japan and Australia, playing for sold-out audiences and delighting fans with their energetic and exciting concerts. 09. Wouldn't You Like To Know Me? 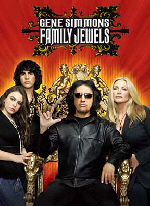 A&E will release the 2 DVD 'GENE SIMMONS FAMILY JEWELS: THE COMPLETE SEASON 1" December 19. Prior to this release a 3 DVD Collector's Edition will be released December 7. As a special bonus, this Collector's Edition includes an exclusive music CD featuring two previously unreleased, never-before-heard songs from the man himself - Rain Keeps Fallin' and You're My Reason For Living - songs only available here! Accompanying the songs is commentary from Gene -- a letter describing the history of these two tracks and the thought processes behind their development. KISS guitarist/vocalist PAUL STANLEY will be the featured guest on the nationally syndicated radio show "Rockline" airing Wednesday, October 25. The live show begins at 8:30 p.m. PT / 11:30 p.m. 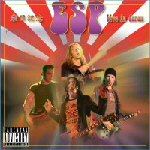 ET, and fans are encouraged to call in with questions during the program at (800) 344-ROCK (7625). To find a station near you, check out www.rocklineradio.com. can make his own music, and do what he wants for a change. Here's my conversation with an American rock icon. 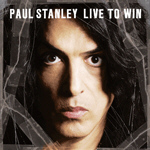 KISSONLINE's PAUL STANLEY LIVE TO WIN Listening Party! In addition to allowing us to stream every track from his new album, Paul recorded intros to every song, to give fans a little extra insight on each track! We hope you enjoy Paul's first solo album in 28 years as much as we do..
PAUL STANLEY “Live To Win” [track by track interview with full song streams]. Tonight's episode of South Park, "Make Love, Not Warcraft" featured the song "Live to Win" by Paul Stanley.